Thomas is a funny and energized child. He is a little shy at first but warms up quickly. He is talkative and polite. Thomas has a hard time with change. He can become alarmed and defensive when faced with conflict. Thomas loves to please and responds well to rewards. He likes to play with toys that keep his hands busy like Legos and play dough. Thomas enjoys playing outside, riding his bike, swimming, playing with animals, and riding on scooters. Thomas likes to color and watch television. He's very interested in Jurassic Park. He is a good eater and his favorite food is pizza. Thomas states he wants to be adopted. He will likely be slow to transition and bond with his new family. Visit me at the Heart Gallery of the North Texas. Thomas's family will need to be structured and consistent with expectations. He needs a family who has knowledge of parenting children with challenges. They will also have a great deal of patience and energy. 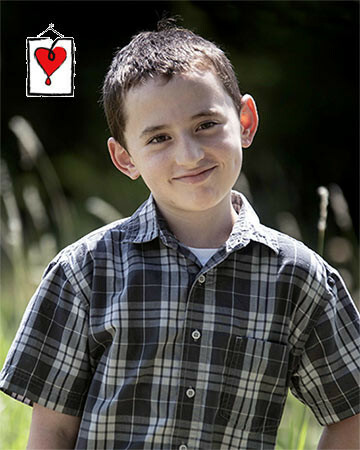 Thomas' child advocates believe that he will thrive with a family if he is the only child in the home.